Giving these books a try early on in life is good but I have personally found that revisiting them later makes them way more relevant. These books are written by people who had a full spectrum of experiences and knowledge and I am only now finding that I understand where they come from. The books themselves, the actual books, are full of texture and wear and tear, time-tested. I painted them on a contrasting blue ground that reflects that texture. 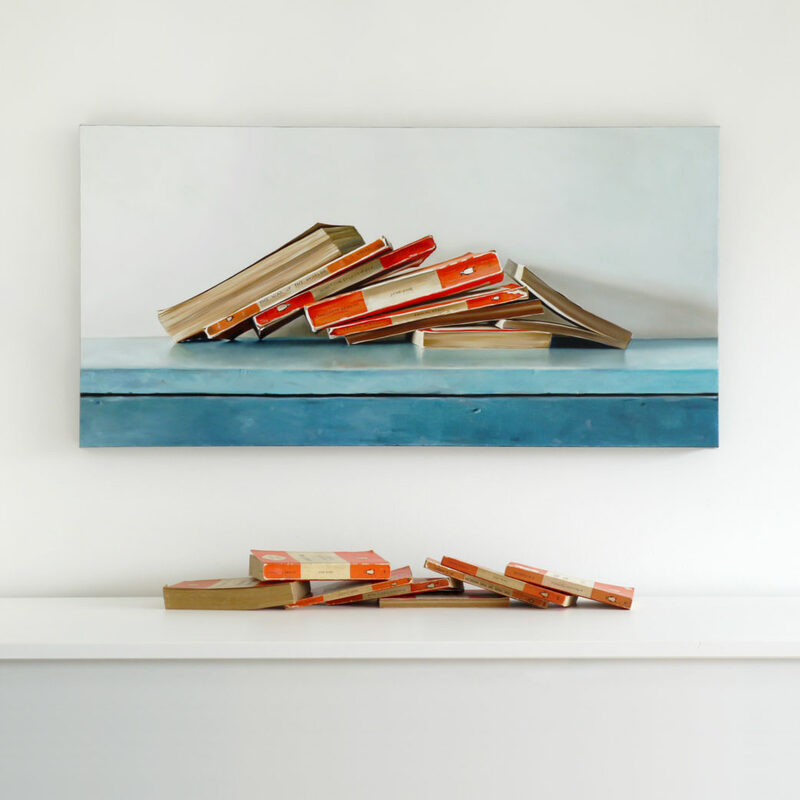 The painting is composed on a long, wide canvas with a horizon line, the books structured in a hill-like formation, to mimic a landscape. The spines visible are The War of the Worlds – H.G. Wells, Nineteen Eighty-Four – George Orwell, Jane Eyre – Charlotte Bronte, and Animal Farm – George Orwell.